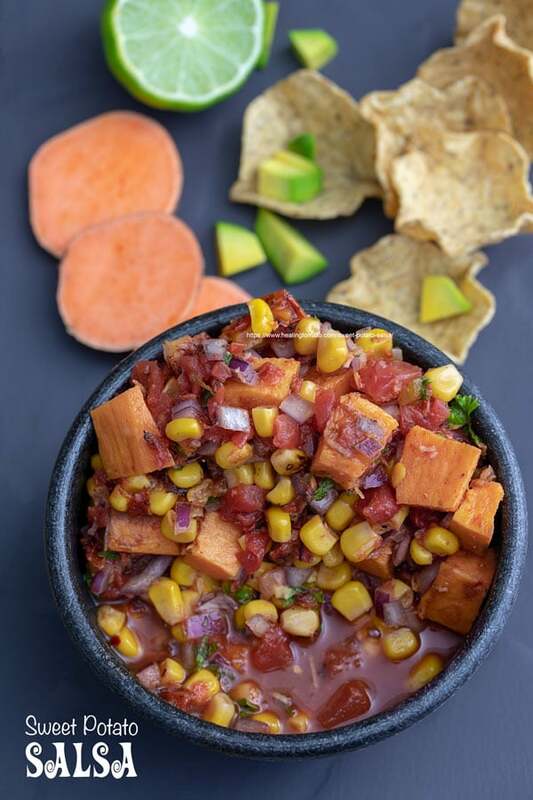 Oven Baked Sweet Potato Salsa made with fire roasted corn and tomatoes. 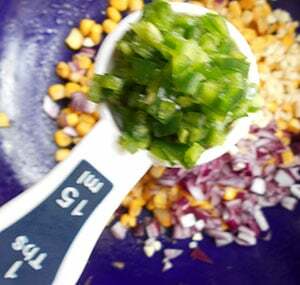 This vegan salsa is the perfect appetizer for parties or game day snacks. This is version 2 of the original recipe. Click here to get more info on version 1. How much do you love salsa? Chips and salsa is my favorite appetizer to order at Mexican restaurants. If a restaurant gives free chips and salsa, it automatically gets 5 stars from me! I like making unique salsa that really challenge the status-quo. Have you tried my banana salsa or my tomato salsa on baked brie? 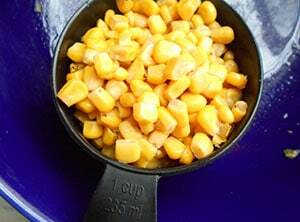 They are one of my favorite salsa creations because they are so different from any other salsa I made. 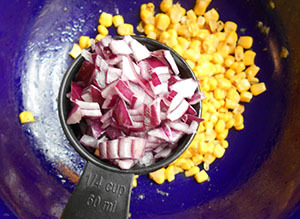 Related: Check out all my salsa recipes here. 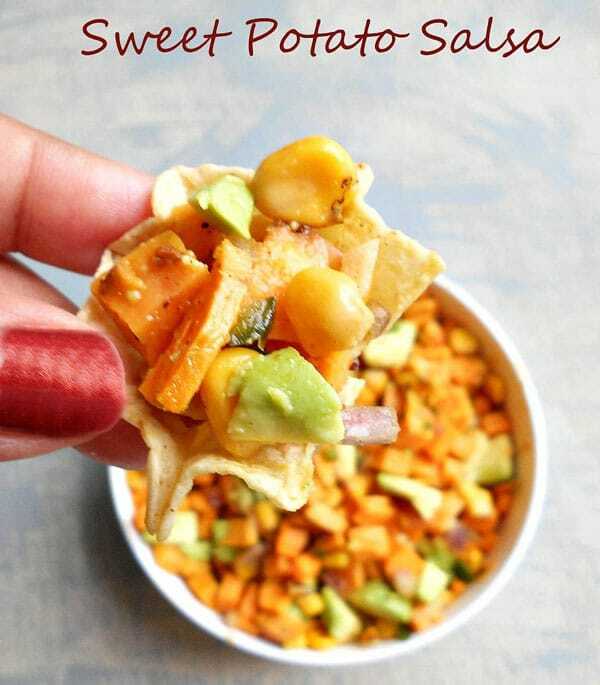 The best part of this sweet potato salsa is the oven roasted sweet potato! 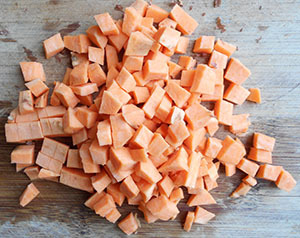 Roasting this sweet potatoes really brought out the sweet potato’s sugars and flavors. 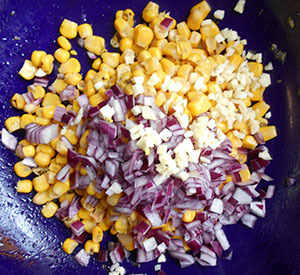 It gave them a slightly smokey flavor which made this salsa so much better. Next time, I am going to test it using (affiliate link) liquid smoke for an added smokey taste. 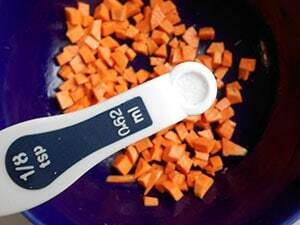 P/S: Do you know how to bake the perfect sweet potato? 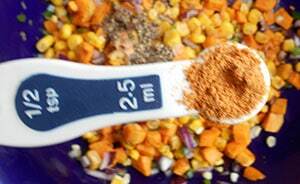 Check out my 5 tips on baking the perfect sweet potato. 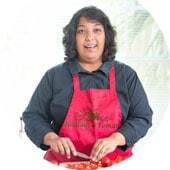 12)Add the fire-roasted tomatoes, cumin, sweet relish, mint and curly parsley. 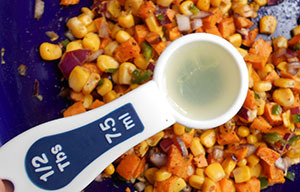 14) Set the sweet potato salsa aside for about 45 min before serving. I served them with (affiliate link) Tostinos multigrain scoops. They taste great with any chips. Occasionally, I will go back in time to look at previous recipes and see if they need updating. The update can be an overhaul of the recipe or a few tweaks of the ingredients. The post also gets updated with new words and phrases that will help you find it faster in a web search. Also, as I work on improving my food photography, it helps to update a post with pictures that look more appetizing. 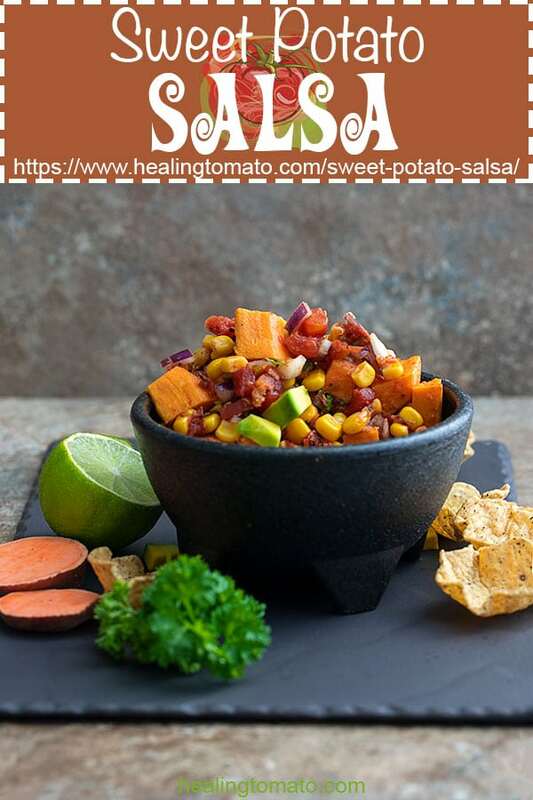 This sweet potato salsa recipe had minor tweaks in the recipe since its first posting on February 5th, 2016 at 12:07am. That’s almost 3 years ago! How time flies, right? I remember what I was doing and where I was when I first made this recipe, photographed it and eventually posted it. So many fun memories associated with it! Lucky for me, the Wayback Machine has kept a record of the original post which you can get by clicking here. The main reason I tweaked this recipe was because of the feedback I get from my readers. 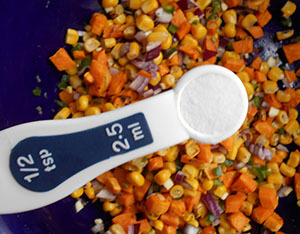 Many of you had mentioned that the salsa was a little on the dry side. So, I experimented with a few ingredients and made changes to it. Your opinion is valuable to me, so, feel free to sound off below on what you think of this recipe. 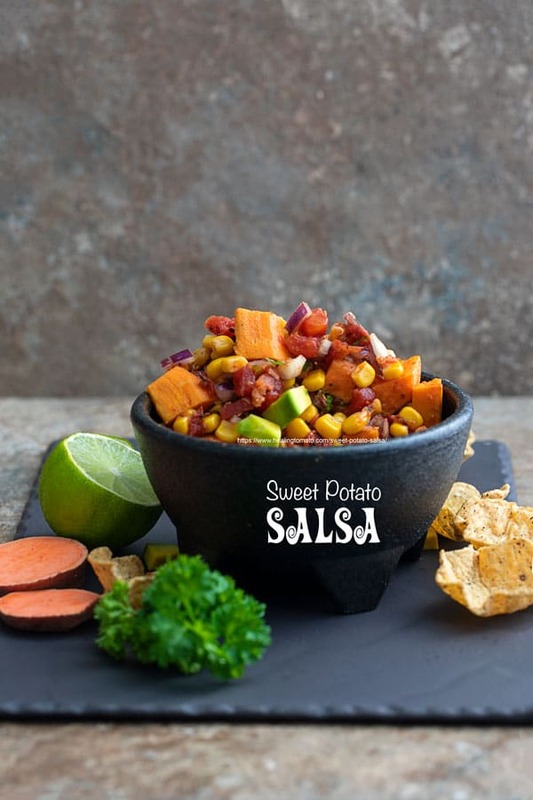 The new version of this sweet potato salsa also has a video which you can see below. 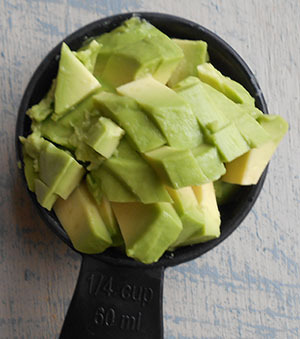 I hope its helpful to you when you make this recipe. Thank you, Debra. I like how your mind works! I am sure it will be great topping on any recipe. You are a very smart chef. This sounds absolutely remarkable! I don’t really like regular salsa on my chips, but this would be great! 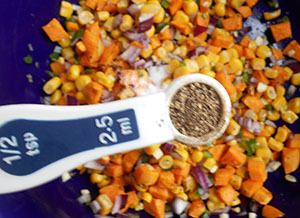 That’s a fun way to use sweet potatoes. It sounds great to me. WOW! This is so creative! 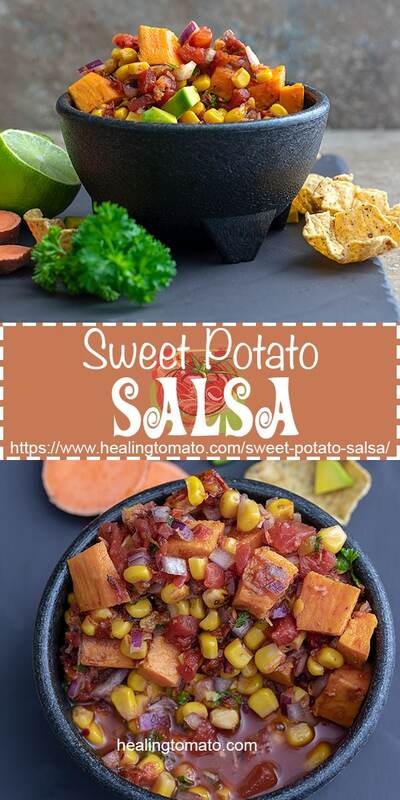 I love sweet potatoes and I can’t wait to try this! I want this right now. Looks so delish. I love sweet potatoes too! OMG I LOVE THIS x1000!!! 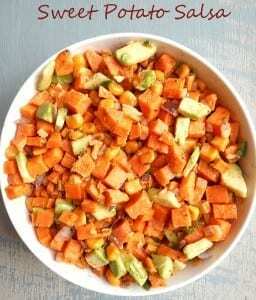 Adding sweet potatoes is GENIUS! This sounds interesting. 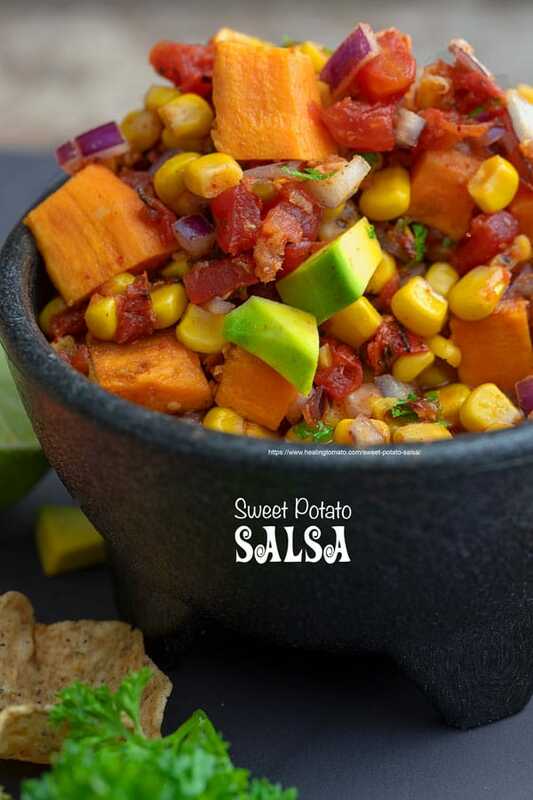 I love sweet potatoes, but I’ve never had it in a salsa. I can’t wait to try this. Sweet potatoes are my favorite. I will have to try this recipe for the weekend. I am sure my kids will love it. It looks so delicious. 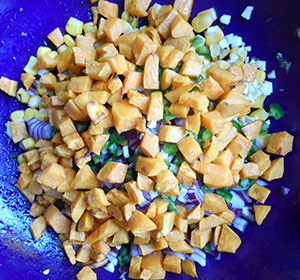 I have never thought about making a sweet potato salsa but this sounds delicious! I would love to try this! It looks amazing. I get inspired by this recipe! I try to make it too 🙂 Thanks for sharing!!! 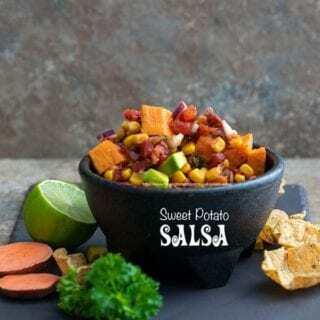 Would’ve never thought to put sweet potato in salsa! Sounds great! I love sweet potatoes and avocados. I have never tried them together, I must make this.